Clevedon GC - Did you pick a winner? Clevedon GC - Who have you drawn? Clevedon GC - Are you up the challenge? Clevedon GC - Exciting Christmas offers to be had! Clevedon GC - A remarkable achievement..
Clevedon GC - Who runs the world? 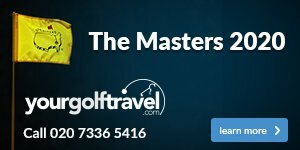 Clevedon GC - What are you waiting for? Don’t miss our Callaway Fitting Day! Who came out on top in the Five Nations Challenge? Want to represent Clevedon GC? Clevedon GC - Who will you draw? Clevedon GC - Fancy a challenge? What could you win at Clevedon GC? Clevedon GC - What are you after from yours? Clevedon GC - Need a bit of help? 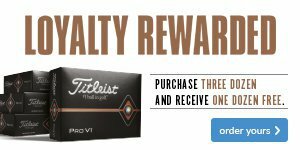 Don't miss our Titleist ball fitting day! Clevedon GC - Who took home the pot? Who is the best putter at the club? Clevedon GC - Are you wearing the right footwear for your game? Clevedon GC - Are you a digger or a sweeper? Is it time to consider something different at Clevedon GC? Clevedon GC - Does this look familiar? Clevedon GC - Is it time to take the next step? Clevedon GC - Are you fully prepared? Feeling lucky this Christmas at Clevedon? Clevedon GC - Who needs 14 clubs in a bag? Clevedon GC - Who says golfers aren't athletes? Clevedon GC - Feeling lucky? Who has earnt the bragging rights this year at Clevedon? Who took home the pot at Clevedon? Who came out on top in the Ladies Club Champs? Don't miss our PING Fitting Day! Who took home the bubbly in the April Medal? Who has made it to the Hi-Lo Finals? Feeling lucky at Clevedon GC? Don't miss our FootJoy Fitting Event! Clevedon GC - Does your golf wardrobe need a lift? Join in the celebrations at Clevedon! Clevedon GC - Calling all ladies! MOT your game at Clevedon GC! Are you taking a risk at Clevedon? Top tips for more powerful drives from Clevedon pro shop! What's new for 2016 at Clevedon? Last minute Christmas gift ideas at Clevedon! Has this happened to you at Clevedon? A big weekend ahead at Clevedon pro shop! Don't miss our Black Friday weekend sale at Clevedon! It's show time at Clevedon GC..
Who took the major honours at Clevedon this year? Have you ordered your Clevedon Club Crested garments? Don't forget Members' Day this weekend at Clevedon! Who took the honours on Captain's Day at Clevedon? Who have you drawn in The Open sweepstake at Clevedon? Who took the jackpot in the sweep at Clevedon? Who have you drawn in Clevedon's U.S. Open sweepstake? Clevedon GC - Myself and Craig qualify for the Lomard Trophy Final! Clevedon GC Ladies march on! Clevedon GC - Ashley's run of form continues! Clevedon First Team take top spot! Clevedon GC - Who took the spoils at Jim's Jamboree? Clevedon members do you know which putter is right for you? Clevedon golf club enjoy a great week of golf!